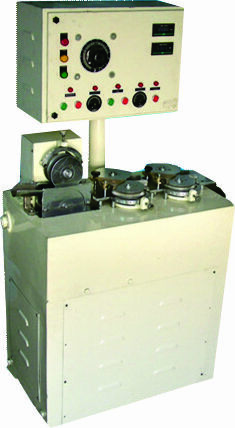 We also offer our clients with a qualitative range of Three Stage Rope Sizer. These are used for producing candy in ropes wherein the toffee or candy is processed into the right size/ width of rope. It can produce 2500 Kg of candy / shift depending on size, shape and weight of candy. Three Stage Rope Sizer technology is very convenient to operate and easy to maintain as the availability of ample experienced man power. Weight - Approx. 400 K.G. Power - 1 H.P. DC/1440R.P.M. The toffee / candy thin rope from Batch Roller Machine is further proceed into rope sizer machine to form exact size of rope as per toffee / candy.